NTG has the capability to produce all types of transmission components and specialise in sub-contract manufacture of high quality ground and finish hobbed gears. These specialized high quality and finish hobbed gear components range from 50mm by 0.5mm module up to 1200mm by 22mm module. Our range of Gleason cut and lapped spiral bevel gears are produced up to 750mm diameter. Please view our Capabilities and Plant List for further details on the capability of gear manufacture from our plant. 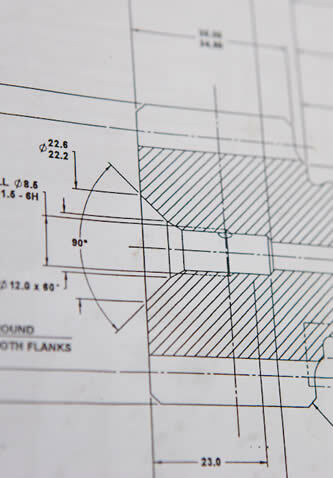 NTG has the capacity to produce gears on a 1 off basis up to batches of several thousand and are constantly required to develop prototypes for all industries requiring short lead times. NTG are interested in long-term supply contracts and are willing to invest in specialist machines where required.